Despite or because of these drawbacks, she has a certain something so is picked by Wiktor, a jazz musician. Jazz, here artfully arranged by Marcin Masecki, joins these two as much as sexual appeal does. Not that either magnet satisfies to hold them together, but nothing keeps them apart. This is why Cold War is described as a romance, but there is not a lot of happiness in their lives. The times do not lend themselves to anything giddy, only to grey communism. It is right that Paw-likowski and his director of photography Lukasz Zal shot the film in black and white. They capture Paris, Yugoslavia, and East Germany, but they also imagi-natively constrain the transforming faces of Wiktor and Zula within frames. 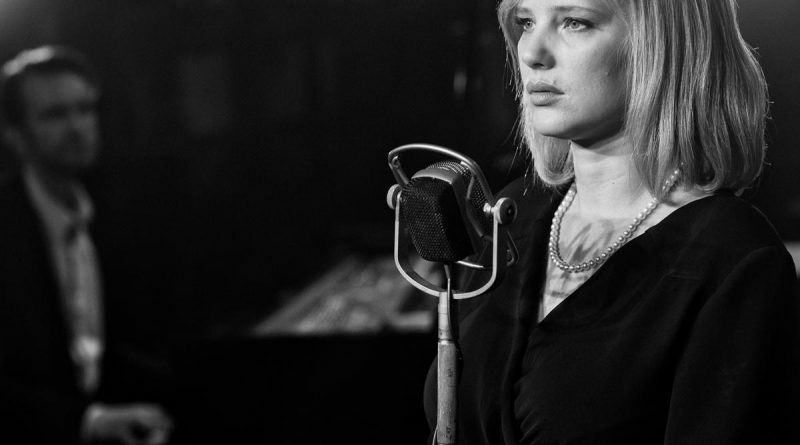 Joanna Kulig plays the luminous, practical Zula in concert with Tomasz Kot as Wiktor. Pawlikowski co-wrote Cold War as he did Ida, which won the Academy Award for Best Foreign language film of 2015. Cold War is frustrating as a romance, but it’s beautifully rendered as a film. I’m Martha K. Baker. From the Grand Center Arts District, this is 88.1, KDHX, St. Louis.